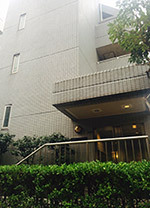 General: Our office is between Tokyo Tower and Azabu Juban, in the heart of Minato ward. Driving: From shin-ichi-no-hashi intersection, drive 50 meters east towards Akabanebashi. Turn left just before a Natural Lawson convenience store, and drive 3 blocks. At the end of the street, stay close to the right-side building and make a hard right. The office is in the third building on the right. Parking: Free, in the parking garage of our building. Metro: Veering slightly left out of exit 6 of Azabu Juban station (Namboku and Oedo lines), continue 50 meters without crossing any street, towards Akabanebashi. Turn left at a Natural Lawson convenience store, and walk 3 blocks. At the end of the street, stay close to the right-side building and make a hard right. The office is in the third building on the right. From Narita Airport by Train or Limousine Bus to Grand Hyatt, Roppongi: The Narita Express (N’EX) goes to JR Tokyo Station and costs about ¥3,000. The ticket office is on the basement floor of both terminals 1 and 2. It takes about one hour to Tokyo Station. From Tokyo Station, take a taxi to the office. It takes around 15 minutes and costs about ¥2,000. The Airport Limousine Bus goes to the Grand Hyatt, Roppongi, which is located a short taxi ride from the office. It takes approximately two hours and costs about ¥3,000. From Haneda Airport by Train: The Tokyo Monorail goes to Hamamatsucho station, costs about ¥500 and takes about 20 minutes. You can taxi to the office in about 5 minutes for about ¥1,000.